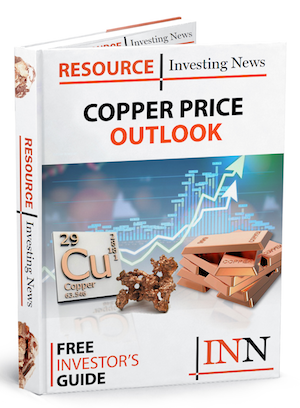 In the report the company includes updates shareholders on its two producing assets – the Renison tin operations in Tasmania, and the Nifty copper operations in Western Australia. Base metals miner Metals X (ASX:MLX) has released its annual report for the year ending June 30 2018. In the report the company includes updates shareholders on its two producing assets – the Renison tin operations in Tasmania, and the Nifty copper operations in Western Australia. Metals X also owns the Wingelina nickel-cobalt-scandium deposit in Western Australia, which the company is waiting on an improvement in nickel prices for in order to proceed with development. The focus of the company since acquisition of Nifty has been to increase the production rate, returning the process plant to continuous operation, and to extend the mine life. The objective is to transform Nifty into a large, long-life mine, with an annualized production rate in excess of 40,000 tonnes of contained copper in concentrate. Significant improvements have taken place during the period. In December 2017 the plant commenced production on a continuous basis after running on a campaign basis since acquisition. The mobile fleet was refurbished, new loaders were acquired and additional jumbo drill rigs were mobilized to site. The underground conveyor system and underground crusher were refurbished. There were additional refurbishment and replacement projects undertaken at the camp, power plant and structural steel works on the processing plant. Click here to read the full Metals X (ASX:MLX) press release.